Manipulation, mercenaries, useful idiots and….respect! A couple of days ago, on our favorite social media where things get out of hand faster than a speeding bullet …I came across a very strange plea for help which sounded most bizarre to me, but apparently not to many others, especially the several hundred who rushed to share it. There was no rhyme or reason to the text, but what was clear was the information about this “woman”. 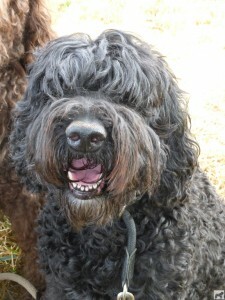 There was this Barbet that was going to be euthanized because the owner was crazy. What it boiled down to, using sensationalism as one does, and using victims as floormats to wipe their feet on and promote self as one does or at least this one always has to do as much damage to a person and their reputation, as proved in the past. ….I went to the horse’s mouth, meaning the owner, and asked. We went back and forth, I asked questions and got answers and asked for clarification and got it. Then, I was finally able to understand it all. Sooooooooooo, I said I would help her clear things up. It’s with some background information that I will start about Hermes who is NOT a guide dog for the blind! He was refused in selection of guide dogs. He does not work for me, I had just taken him because I had fallen in like with him. He is for me a dear part of my daily life. Hermes is such a kind dog but he isn’t fortunate to have been born with good and stable genes. Along with caring people who support me and know the situation also are willing to help me find a good place for my Hermes. I must be 200% sure the place we’ll find is the best there is. I will be getting a new guide dog in 2017. Why? 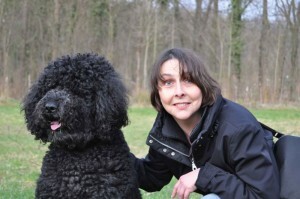 My first blind guide dog Darius was trained with Henriette Bos for 1 year in 2004*. I started the Darius Project for the center. We have known each other since that time. I know she is the best place for a pup to train to become adult and be Barbet Sorab was born on Octobre 16th at Marga John’s. He will be trained to become My guide dog. 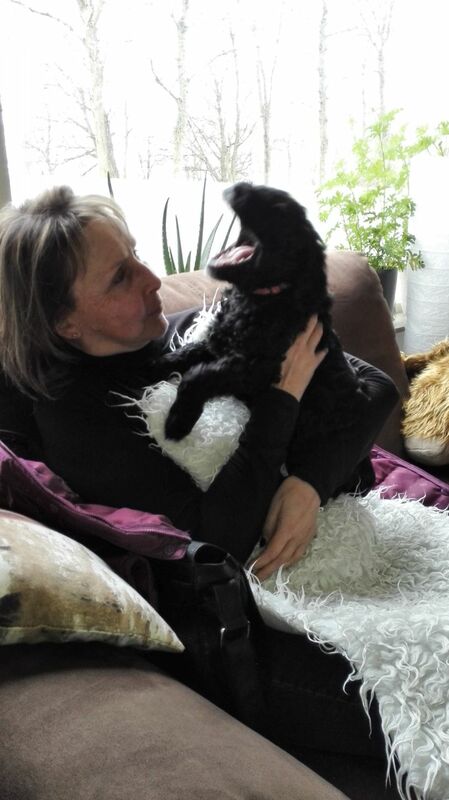 At this moment he’s staying with Henriette Bos who will teach him the basic commands and will socialize him with public transport, etc. Afterwards he will go to the center where he will learn his job as guide dog. When this period is finished I will go to the center to train with Sorab. Then he will go home with me and we will spend many years together and live happily ever after…. 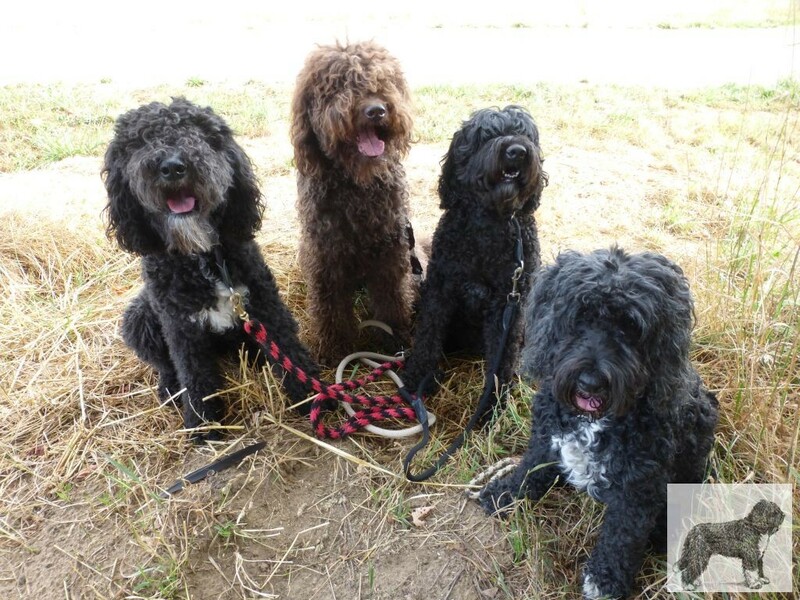 Since my first Barbet Darius, I just want those kind and soft dogs around me. They are my reason to live. They are so affectionate and sensible. Those who attack my dogs attack me … so, please stop these childish ways of treating people you do not even know! * Many of you will remember the “Projet Darius” in 2004. There was a video on the net about it. I have been training Froguette for hunting for 2+ years now and you have seen a lot of pictures here on this site, but never oh never has it ever been without respecting the game and the process of the activity along with the rules. I have never seen a hunter treat any animal the way is pictured in those photographs. Just a BIG joke. BICPs I have attended, nothing to do with the barbet club, are run according to strict rules and professional behaviour and organization. I have just seen some pictures on a social network french club breed page that are absolutely appaling and disgraceful for a breed club to publish. Totally shocking!!!!!!!!!!! to promote the Barbet as an uneducated duck killer!!!!!!!!!!!!!! 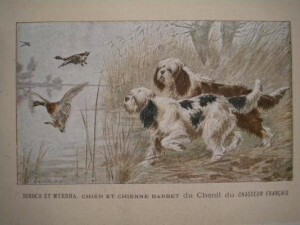 That is NOT what happens at any BCE or BICP and gives a very retarded image of hunting and of course how the Barbet works. Disgraceful and typical of the amateurish running of the breed. Rose is Vennie’s sister. 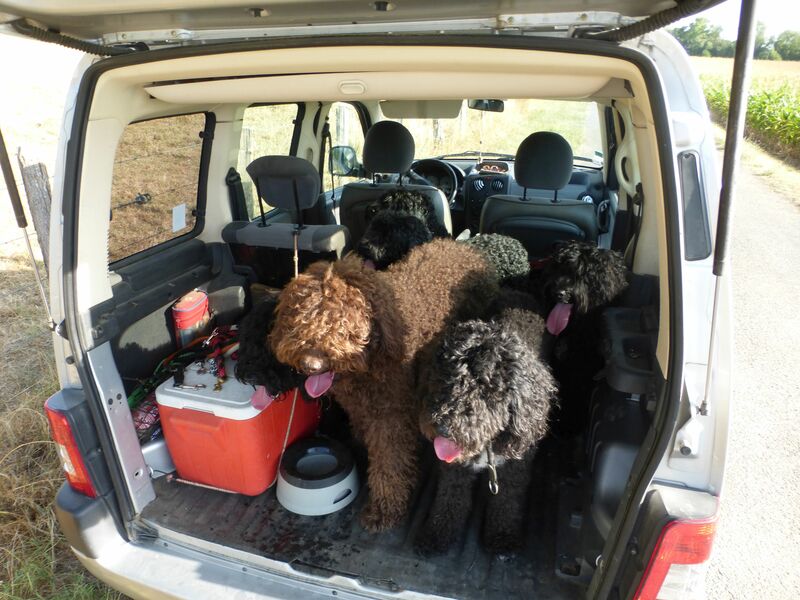 You see her, her pups and Cousteau von der Leibrücke, son of Charly de la serve de la chapelle d’Alexandre. Cute. Funny how the line produced the first white and black pups with Babaloo, then Cousteau and there are none in France and no sand either! On the other hand with so few births, makes chances smaller. If you go to the site, click on the line where the club pdt has made a statement. Sad conclusion to ” breedclub blindness”. Next step? Actions speak louder than words! Organizing shows is not what the breed needs, nor does it need peace; it needs devotion and work real work! should think about when we take our decisions, for example on issues arising from the breeding decisions or when buying a puppy. I have never given up working for the breed and promoting what it was, does and despite the fact the club escorted me to their door a few years ago, I have never given up on our precious Barbet, French treasure…I even coined the expression! Why was I escorted to the door? For asking questions…In France it is extremely rude to ask questions…so the club has used its energy, what energy they had, into exterminating people willing and overseering gladiator fights until the victim is put down. Here the victim is the Barbet. Call for action, written action and signed and dated? ! Real action not just words…blown in the wind. Translate the above linked article via Google, it works rather well. You will again enjoy it and the message is clear. To a layman, the questions you are supposed to ask or should ask when buying a rare breed, you don’t because you don’t know. I did not. If I had, I would have. ;what would I have done with what I found out after the fact?..? Hard to say, probably what I am doing now… I only wish I had figured it all out in the big clear picture, sooner. That’s life. Of course, when I started putting the pieces together pianopiano , I became public enemy ( one N or 2? 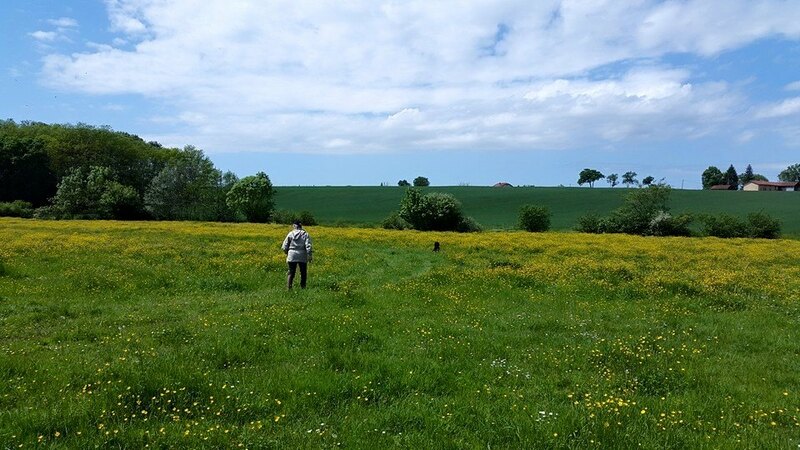 )…because I was interfering with many’s business, which was not my concern ( the money part, that is), but the “old breed” and how to get back to it .Just like fabricating the Labradoodle, who needs more furry creatures around? Selection, selection selection…key words…to get the dog looking like it did back then: a Griffon, cousin to the Boulet…not more not less. With at particular coat, its typical character and morphology. How difficult is the concept? Well…anyway. 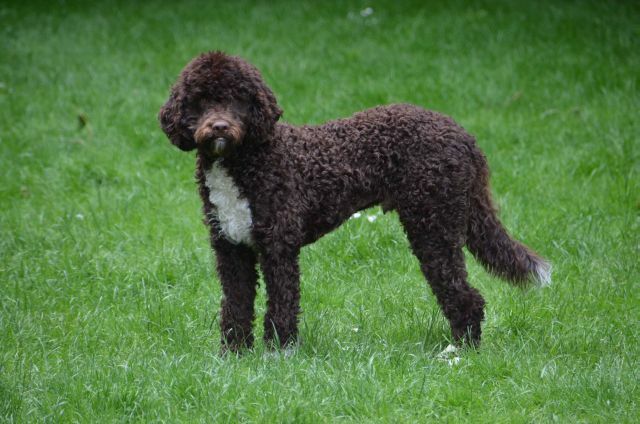 That’s why I am into the real history of the breed and not the generic myth around it.And so, yes, in the Barbet there is a lot of this and that but some of us are working on putting the breed back together the way it was. So, yes, in the Barbet, there is a bit of this and that but it’s all in how you dose the ingredients! A rare breed is………rare. 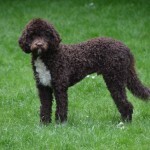 Decided to adjust Barbet walks to needs of future mom Vennie. It’s a bit much for her to keep up with the pace of the whole group, so we split it in 2. We can walk a bit slower and not so far..still rather warmish outside, but manageable. Corisande has joined us for a few days and we’re happy to welcome family home.Corisande is daughter to Coccolina, sister to Colleen, Compay, Caya, and all of that wonderful litter from 2007. Look at that head of hers…I just love it. 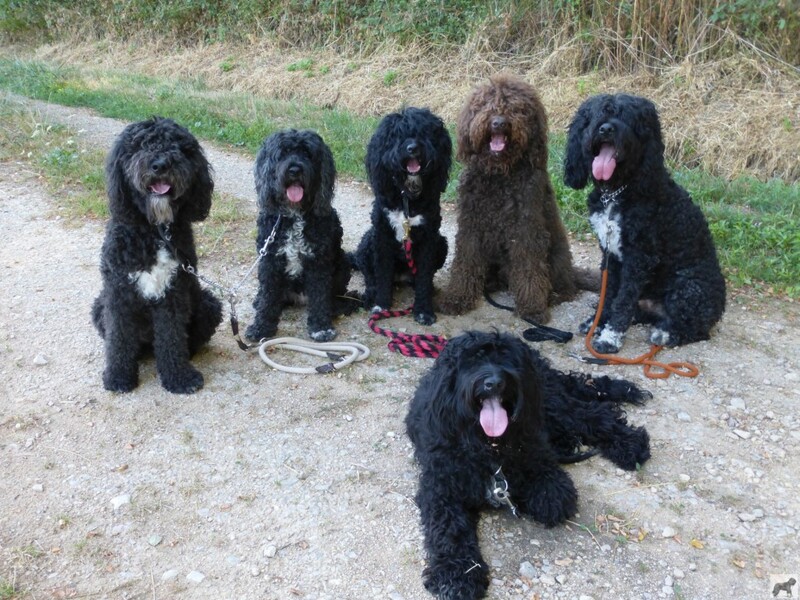 Reminds me of the Mahler potrayel of Barbets in the 1897 Chenil du Chasseur Français..
From left to right Vennie, Coccolina, Froguette, Guyguy, Froggy and in the from Iabada..my dream team! Happy to go home…8.30 and already too hot! .Stand Purina Plan pour le cours de dressage dans l’après midi! J’espère vous y voir! Un petit dernier avant la route, du “petit” Barbet de chasse? 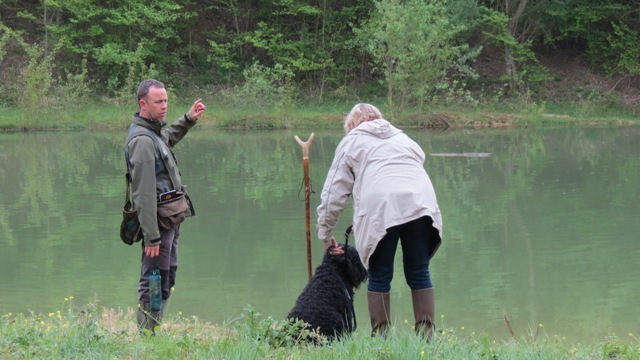 Nous avons prévu une séance d’entraînement à la chasse pour les barbets à Lamotte-Beuvron ; nous sommes actuellement en attente d’autorisation d’utilisation de gibier dans le parc…. Et…qu’en est-il?Ou est ce “que” pour les amis du club ou ceux qui likent?